Still basking in the glow of my Olympics tickets, I got some more exciting news. I checked the official London 2012 site and found that the second game in my session includes The United States of America! So, not only am I getting to go to the Olympics again, but, unlike Atlanta, this time I get to see my country participate in a team event! And this isn't just any team, this is one of the best women's basketball teams ever assembled. The twelve players have a combined twelve Olympic gold medals (Four players with two each, and four more with one each). U-S-A! U-S-A! In 1996, my parents took our family to the Olympics in Atlanta, where I got to see baseball, team handball, and track and field. I have loads of great memories from those days, including the crazy Danish handball supporters, running around in the Olympic fountain, and some of the last real time I spent with my granddad. Although, I was old enough to appreciate all of the work and money that my parents must have put into that trip, I wasn’t quite yet mature enough. Now, I am both, and want to thank them for giving me such a treasured memory. I'm sure they'd tell me not to pay it back, but to pass it on. So, when I found out that the Olympics were coming to London in 2012, I wanted to make sure that my wife got to experience a little of the magic that I did back in 1996. Plus, I wanted another Olympic badge for my cap! Now I knew I was working with limited time this summer because of various trips, but when the Olympics tickets went up for sale, I was poised. I requested tickets for four events over two days. Despite asking for tickets for less popular sports such as team handball and badminton, I was allocated exactly nothing. I must admit, I was a bit devastated. I still can’t understand the system of distribution that resulted in me, and so many others, not getting any tickets at all. So, I waited for the second round of ticket distribution, which was on a first-come, first-serve basis. On that morning, when I got up early to be ready to pounce, my computer flipped out. It took me a couple of hours to sort it out, and by then, all the decent tickets on the days I could attend were gone. Again, I was hurt. Then, a lifeline. I discovered that you could buy Olympics tickets as part of a ‘package holiday’ with Thomas Cooke; they even had one day packages. I’d have to buy a hotel room and badly overpay for the tickets, but it was possible. So, deciding that the money was worth the experience, I went for it. I could only afford one event, but I knew it would be enough. I asked for an afternoon session of Women’s basketball, and I got it. Yesterday, I went to Thomas Cooke and picked up my tickets! Basketball is right in the Olympic park, so not only am I getting two basketball games, but I'm also going to get the full Olympic experience. I'm not afraid to admit it. I'm a little bit excited! - Tigger got more enjoyment out of Mike Sheppard's Kris Longknife: Mutineer than I did. - It's cherry season! Pay a bit extra and get the biggest, juiciest ones you can find. - In the next forty-five days, I am traveling to the USA, attending the Olympic Games, and traveling to Africa. - I was hoping to regail you all with the exploits of my softball team, the Oxford Knights. However, the wettest May and June on record has meant that the season has barely got off the ground. - I attended my first-ever Hindu wedding over the weekend. The ceremony was two hours long, but they passed out drinks and snacks, and everyone chatted through most of it. In the last few months, I have once again become very interested in Greek mythology. Not so much the stories of the gods, but the tales of the heroes, Hercules, Theseus, Jason and the Argonauts, and the like. While doing some research on these topics, I kept encountering references to the library of Apollodorus, a work I had not previously encountered. So, one day after work, I decided to pop into town and pick up a copy. Now, most places in the world, you might think it unlikely to find a copy of Apollodorus, but this is Oxford, and thanks to Blackwell’s Bookshop in particular, you’ve got a pretty good shot and finding any classical title you want. Apollodorus is probably a book that every Renaissance Troll should have on his shelf. 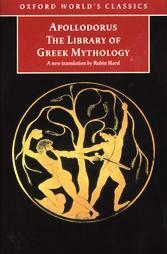 It is an invaluable reference tool, and especially nice for comparing different versions of classical Greek Myths, but there is probably not much to be gained by reading it straight through. Last year, the relatively new company ‘Wargames Factory’ went through a rather nasty, and rather public, change of ownership. Basically the original owners lost control of the company to their Chinese manufacturer. I don’t claim to understand exactly what happened, nor did I have any horse in the race. The unfortunate thing about the whole story is that it overshadowed the miniatures the company was producing at the time. Wargames Factory miniatures are not the best. Some of the sculpting is a bit wonky, and the casting tends to be ‘soft’ (the details are not sharp). However, that does not mean all of their miniatures are without value. I’m a big fan of their fantasy orcs, and I have considered picking up their Ancient Greeks and their skeletons. 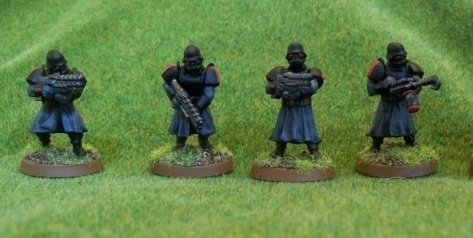 However, the only figures I have painted from them recently is this fire-team of sci-fi troopers. Again, these figure aren’t the best, and I didn’t really have high hopes for them. I figured I’d just throw some paint on them and use them as generic bad guys. Well, I threw on some paint, and they came out looking much better than expected. In a departure from my normal painting style, I decided to go with a gloss black for their armour. I usually hate gloss paint, but in this case, it gave them a nice, sinister, beetle-like appearance. I’m more than happy with how they came out and intend on painting up a few more teams. I can definitely see the crew of the Black Moab having a confrontation with these guys in the not too distant future. I may be an American, but I’m also a die-hard royalist. While I can understand why some people don’t like the idea of having a monarchy of any sort, I think it would be a tremendous shame to abandon such a historical institution, especially one that gave us all an extra day off work this year. Yes, it is a bit expensive, and allows a few people an unearned life of privilege, but I am sure that this is more than balanced by the tourism it generates, the goodwill it engenders, and the patriotism it brings out. Yes. Patriotism. One of the first things most Americans will probably notice if they come and live in England is the noticeable lack of patriotism in day to day life. 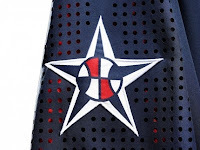 The Union Jack, that attractive flag, makes only rare appearances. It doesn’t fly from any houses and even amongst all the government buildings in London it is a rare sight. Most of the English, most of the time, seem rather indifferent about their country. It is all an act, part of the famous English reserve. They save it up you see, and only unleash it on special occasions, an occasion like the Diamond Jubilee. Over the last few days, I have seen a wash of patriotism that has dwarfed even the royal wedding last year. But British patriotism is very different from the American variety. In America, we loudly chant U-S-A, almost as an act of defiance. In Britain, their rare displays of patriotism are invitations. Through the ties of the Commonwealth, the British invite the whole world to celebrate with them. The British are a proud people, and they are proud of their history and their position of bringing so much of the world together. A fantastic example of this can be found in the official song of the Jubilee, ‘Sing’. While I’m no real fan of pop music, I must admit this is a pretty piece. But what is more interesting to me is its construction. The job of creating the song was given to Gary Barlow, leader of the band Take That, and generally considered one of Britain’s best current pop music writers. He enlisted the help of Andrew Lloyd Weber, and the very popular Military Wives choir, and then he travelled to the far corners of the commonwealth to collect sounds. How wonderful is that? A journey to collect sounds, to bring them together to create something new? This is what Britain has done for the world. True, sometimes it was done in brutal fashion, but those days are behind. Now, it works hard to bring the world together. The Queen has worked hard to bring the world together, so that together we can share and combine and create something new. And so the beacons were lit. 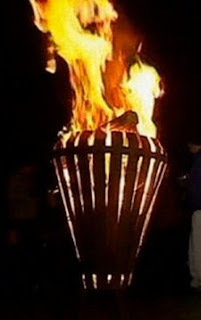 Thousands of beacons, burning across the United Kingdom and the Commonwealth. Not signalling danger, like they would have done a thousand years ago, but signalling unity, signalling a proud patriotism. 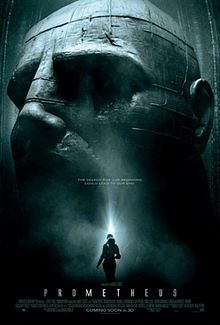 Just saw Prometheus. Disappointing. A bit dull with a lot of weak plot points. Good visuals, but that’s about it. I think, in the end, the movie was never really sure what it was trying to accomplish, and thus becomes a weird mash-up of Mission to Mars and Aliens. The movie starts off as a fun sci-fi exploration, though this is somewhat undermined by a strange, and mostly unlikable cast of characters. This plot is then slowly (and somewhat half-heartedly) taken over by a horror movie. Thankfully, because the visual ascetic was so well done, I was able to enjoy the movie-going experience, but for fans of good stories, I’d give this one a miss. * The aliens left a message (hidden in all our ancient cultures) pointing us to a far star. They did this by drawing a pattern of six dots all over the place. Stargate once explained how you could use six fixed points in space to define a location. This movie never bothers to say how six little dots explained the location of a system way across the galaxy. * The aliens left us the address for their bio-weapons facility...why? * The exploration team uses a series of remote probes to map the whole of the alien complex. So how does the guy who brought the probes end up getting lost trying to get back to the ship. Considering the ship knows where he is the whole time, didn’t anyone see he was lost? * What is the point of Charlize Theron’s character? * The android infects the scientist with the evil alien goo – why? No really, why? What did this have to do with his mission? * The movie IS a prequel to alien, and it sets up everything right at the end...except, the Space Jocky gets out of his chair and dies somewhere else in a totally pointless, anti-climatic scene. SERIOUSLY – you made a movie as a prequel to another movie and mess up one of the only important pieces! * Why does the alien at the end of the movie only sort of look like an alien?